Third time lucky for Kevin Kolb. With the 2013 NFL Draft under a week away, as is par for the course, the talk is dominated by the projected location of rookie quarterbacks. Unlike 2012 when you were guaranteed quarterbacks going number one and two overall the situation for this position (in terms of projected draft selection) is muddier than a Mississippi mud-pie. The passer generating the highest volume of column inches and podcast megabytes is West Virginia’s Geno Smith. Depending on who you read or listen to Smith could get selected as early as number one by the Kansas City Chiefs and possibly fall to the late 20’s and get scooped by a team able to trade back up into the first round. The way I see it is the Chiefs, Jacksonville Jaguars, Oakland Raiders, Arizona Cardinals and Buffalo Bills are the only likely candidates for Smith. as the other 27 NFL teams either have a veteran quarterback entrenched or a young quarterback they are still testing out (or in Cleveland’s case a second year qb nearing his pension). Whittling this down you have Kansas City (Alex Smith), Arizona (Carson Palmer) and Buffalo (Kevin Kolb) who have all invested in veteran free agents and Oakland who have also signed a veteran free agent, but a completely unproven one in Matt Flynn. This leaves the Jaguars as the team with the weakest starting quarterback in the league, Blaine Gabbert. Alex Smith and Palmer are former number one overall picks, and by my reckoning Geno Smith will, by virtue of the value of his position either go number two to the Jaguars, or he will fall faster than Tarzan trying to swing through the trees holding a pat of butter in each hand. It does leave teams the Bills, Chiefs, Raiders and Cardinals with something to consider as their ‘new’ veteran signal callers could find the situation they move into strictly a temporary stop if they do not perform immediately. This means playoffs immediately in 2013. Of these four teams I find the most interesting story to be that of the Buffalo Bills and Kevin Kolb. A lot of draft experts in America think that the Bills are going to take the plunge and rise up to the waterline having netted Geno Smith, but I think Kevin Kolb has found a place where he can finally establish his career in the NFL. Kolb has only played 21 games in six seasons, so he has the advantage of half a dozen seasons learning about schemes and studying the intricacies of the game but under 4 games a season actually playing. This lack of games played has advantages in terms of freshness, but disadvantages in terms of a proven ability to play a full season, something every coach, GM, team-mate and fan wants to see. 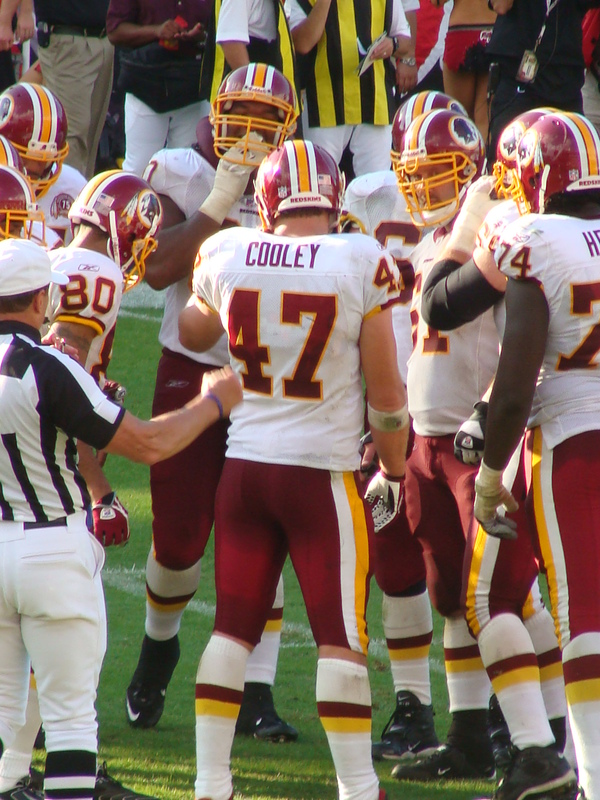 Kolb has been injury prone, and as a result never played more than nine games in a season, but as recently as last season he helped the Arizona Cardinals to a surprising 4-0 record. Yes Kolb’s record turned south quickly to 4-2 before the injury bug struck, but this was behind a pedestrian offensive line and a seemingly ever-changing backfield. 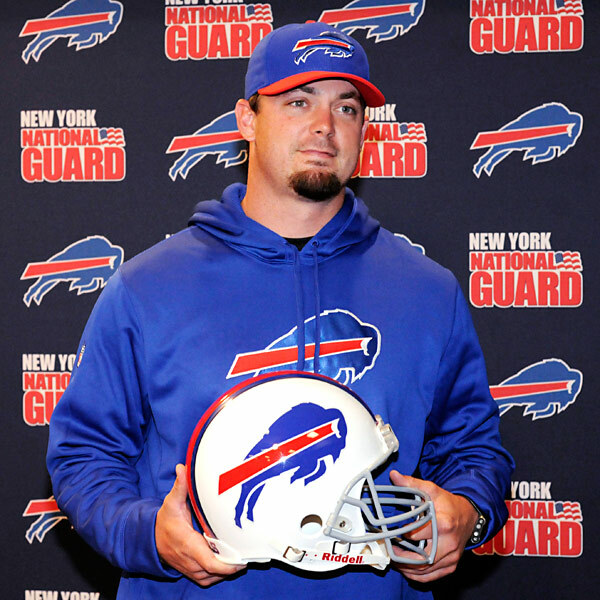 If Geno Smith is still on the board when the Buffalo Bills pick at number eight then he may end up getting used to the cold weather, but I will be rooting for Kevin Kolb to finally get his shot at leading a team for a whole season and beyond. Yes there is a scenario where the Bills draft Smith and let him carry a clipboard as a rookie, but more and more the old-school scenario of letting a quarterback learn the ropes before the spotlight shines on him is becoming scarce. Kolb himself did not throw a pass as an Eagles rookie, he just took some sacks in a blowout win over the Detroit Lions (in 2007). Life has changed and I don’t see a happy families situation for Kolb and Smith together. Let’s hope the only time they both see the field together in 2013 is as opponents.